CARDIFF-BY-THE-SEA — Five top local surfboard designers had a Q&A and demo day at Patagonia outdoor gear and clothing store on Jan. 25. The day allowed surfers to talk one-on-one with designers and get an insight into the philosophy behind their designs. Maurice Cole of Maurice Cole Surfboards is a legendary Australian shaper. 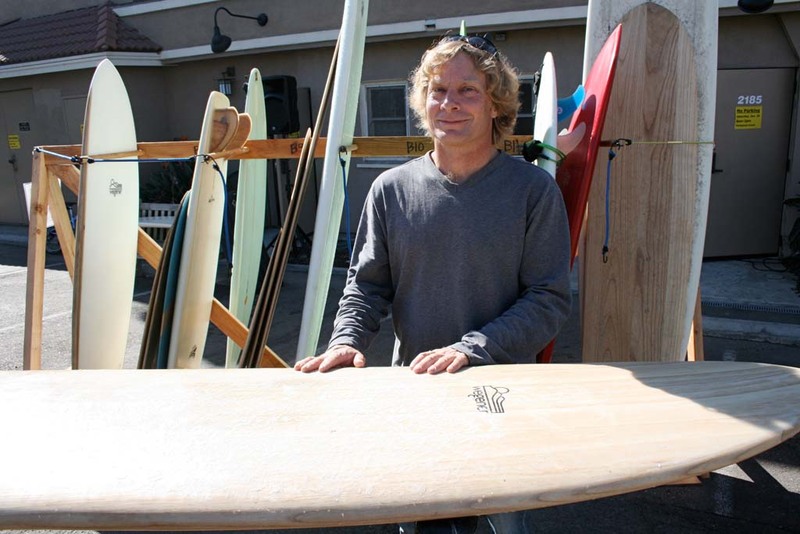 Wegener said wood gives surfboards stability and momentum. Wegener’s recent designs are surfboards without fins that ride like a snowboard by cutting into the wave with the edge of the board. 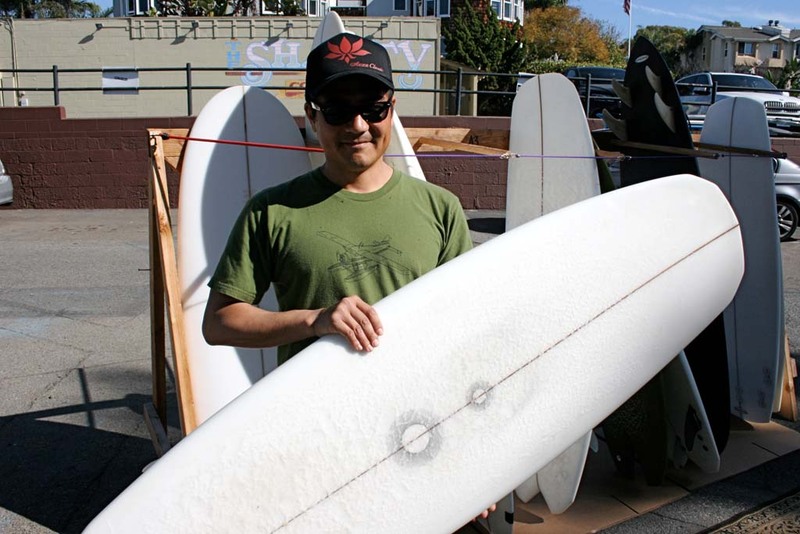 Manny Caro of Mandala Surfboards makes fun, high buoyancy boards for local small waves. Caro also designs and makes the surfboard fins. He said his designs are based on proportional harmonics that can be described as designs with geometric relationships. Ed Lewis of Enjoy Handplanes has a unique story behind his designs. 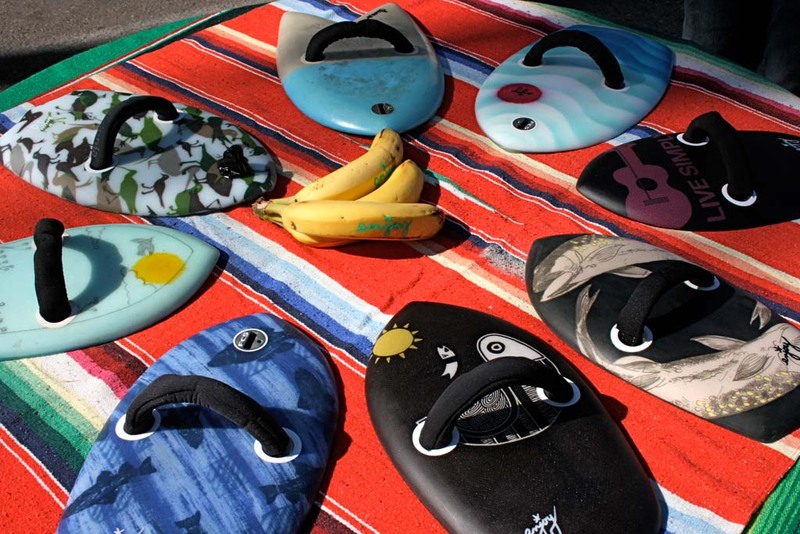 He repurposes surfboards, T-shirts and wetsuits to make handplanes used by bodysurfers. Board blanks are crafted into handplanes. Then T-shirt graphics and wetsuit swatches are used as design inlays. Lewis receives a lot of the material he repurposes from Patagonia. 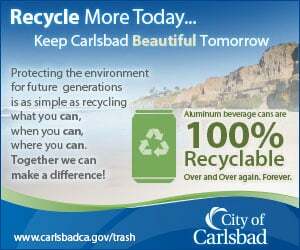 “The joke is they give us their trash and we sell it back to them,” Lewis said. Noah Shimabukuro attended the event as a sales representative for Takayama Surfboards. Shimabukuro was a team rider for Takayama. Takayama surfboards are still made from designs by late, legendary surfboard designer Donald Takayama. “Donald had the foresight to put all the boards into the computer,” Shimabukuro said. Tommy Maus, master shaper, and Charles Kirkley, finish shaper, finish the surfboards. “They’re classic longboard shapes,” Smith said. 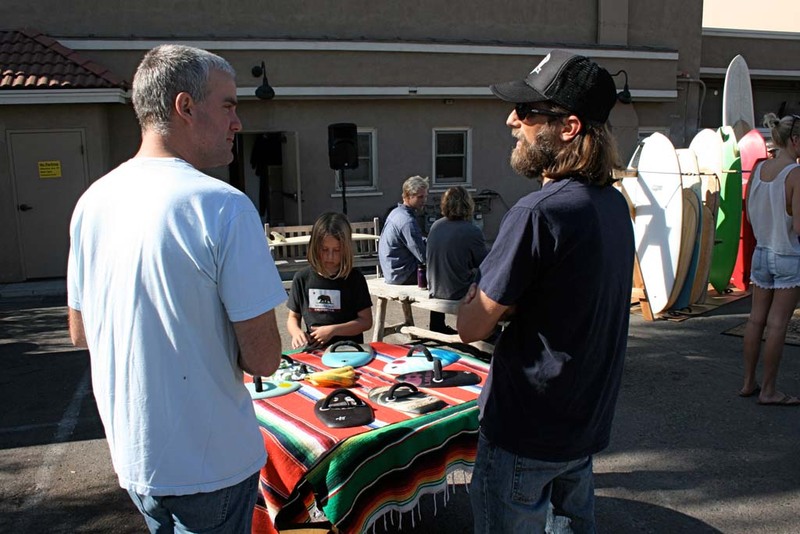 Surfers at the Patagonia event were able to test out the designers’ boards in exchange for leaving their driver’s license and credit card as collateral. Smith said the event gives surfers an opportunity to try out a board before they spend $1,000 to buy it. Smith added this is the first time the store has held an event of this scale. The event is part of Patagonia’s efforts to connect community and manufacureres. “You can meet these guys who create these boards,” Smith said. “It’s cool to get them all together in one space. 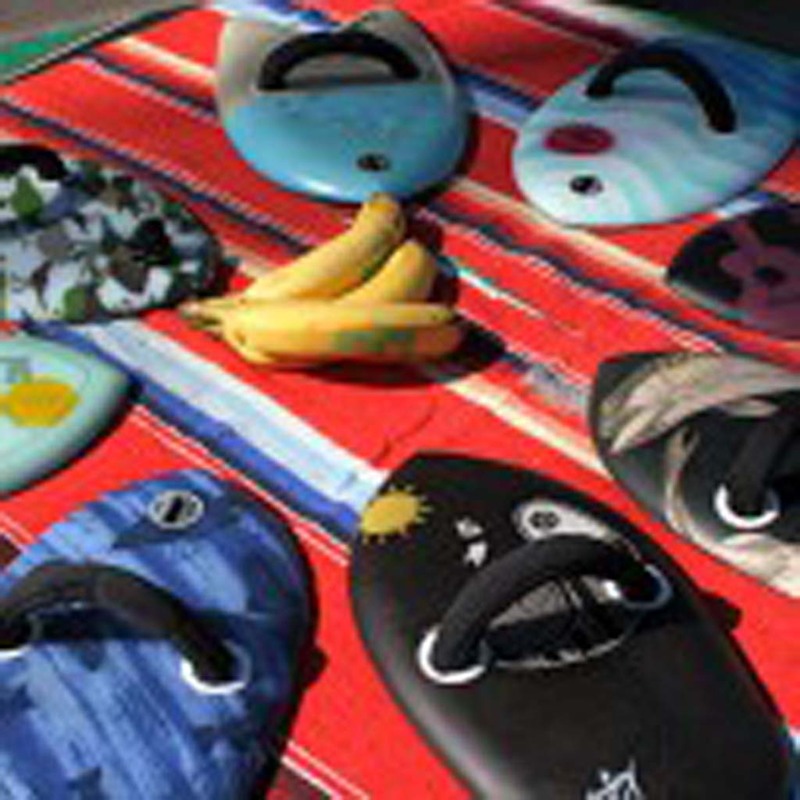 Patagonia carries surfboards and handplanes by all the designers at the event.